The walnut crop estimate for 2015. A bit of a surprise, the crop is estimated at 575.000 short tons (inshell). This would be 5.000 short tons over last year’s crop and hence represents only a 1% projected increase in production. Nuts are projected to be longer, wider, fatter and heavier (better yields?). Only the percentage of sound kernels is marginally less than last season. The overall supply situation will therefore not change dramatically. While last season 2014/15, total supply was approx. 609.000 short tons (crop of 570.000 short tons + carry in of approx. 39.000 short tons), this year’s total supply will be around 40.000 to 50.000 tons larger. Will this increase in total supply weaken the market above and beyond of today’s market prices? The answer is that we shall see, but….. There could be a bit of a psychological impact, as this crop estimate is a surprise and smaller than expected and it might stabilize the market. But in the end, supply and demand will dictate the market prices. There is hope that emerging markets such as India will buy more walnuts this season, on the other hand, there is concern that China may not buy as much. The lower prices may also encourage a better initial demand in all markets and generally raise the demand in all markets across the globe. Also, the carry-out inventory contains significant quantities of less desirable darker kernel qualities. Hence, this gives some reason to expect light kernel grades to remain steady in price. Two aspects that could be beneficial: Overall, all the inshell size measurements are larger than last season, which implies nut caliber is larger. Nuts will be longer, wider, broader. This gives hope that the percentage of large sized inshell nuts will be better than last season. Secondly, nuts seem 7% heavier when compared to the previous year, which gives hopes that also the kernel yields could be improved. This is good for yield recovery and also good for inshell buyers who look to crack inshell walnuts in their import markets. What strikes me as interesting is the nut set per tree. We have been hearing that there is a great Howard crop out there and the estimate indicates a nut size per tree that is 12,5% below last season. 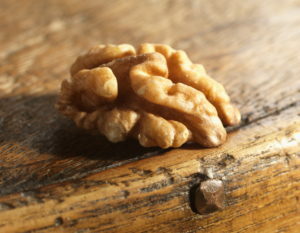 The other varieties such as Chandler also show a diminished nut set by approx. 5,6% and Tulare are almost identical to last season. For the traditional inshell buyers, the Hartley are showing improved size over last season, superior nut weight but less sound kernels and a nut set that is down approx. 4,8%. The Vina is also larger and heavier and the percentage of sound nuts is quite similar to last season, only that the nut set is 19% below last season. All in all, this is an intriguing estimate. The market was soft in recent weeks. This estimate could stabilize prices in the short term. 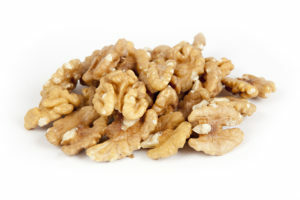 We all now hope for a good harvest with no rain and many good quality walnuts and a market that will encourage seller to sell and buyers to buy with confidence. We look forward to supporting you this season and wish you a successful 2015/16 walnut season.